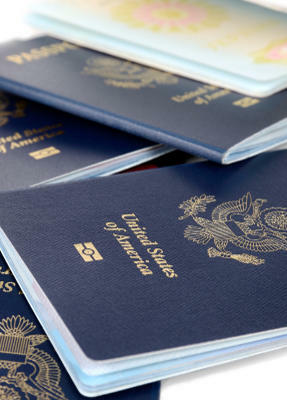 American citizens can authorize passport expeditors or any other third party to hand carry applications to a regional agency if they are unable to go to these locations themselves. The third party authorized by the applicant to accomplish this task can be a family member, friend, travel agent or a registered expedited passport courier service. The letter of authorization includes the applicant's name, date of birth, place of birth and signature. It also includes the name of the person or courier that is being authorized to submit the application. When using a passport expediter, the company's name, address and telephone number should be typed at the top of the authorization letter. See the two examples below. 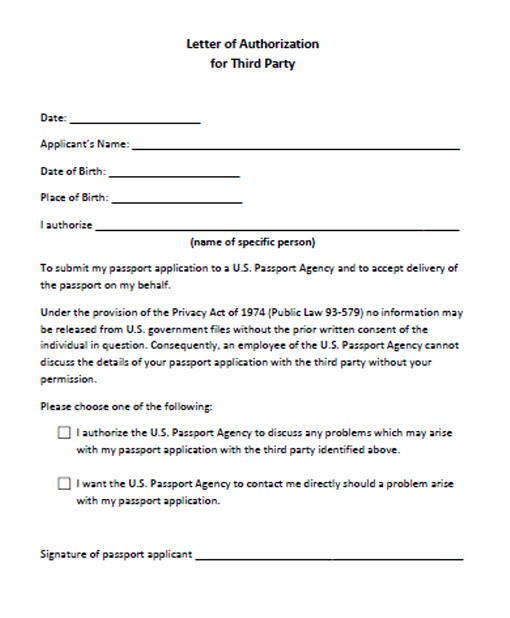 The authorization letter, completed Form DS-82 and supporting documents can given directly to the third party if you are applying for a passport renewal. 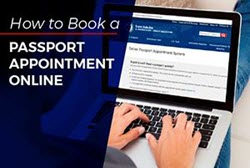 If you are applying for a new passport, you first need to have the passport application executed by an application acceptance agent. In this case, one authorization letter must be given to the agent to place in the sealed envelope with Form DS-11. The sealed envelope and a second authorization letter would then be given to the person or courier who would take them to the regional agency. 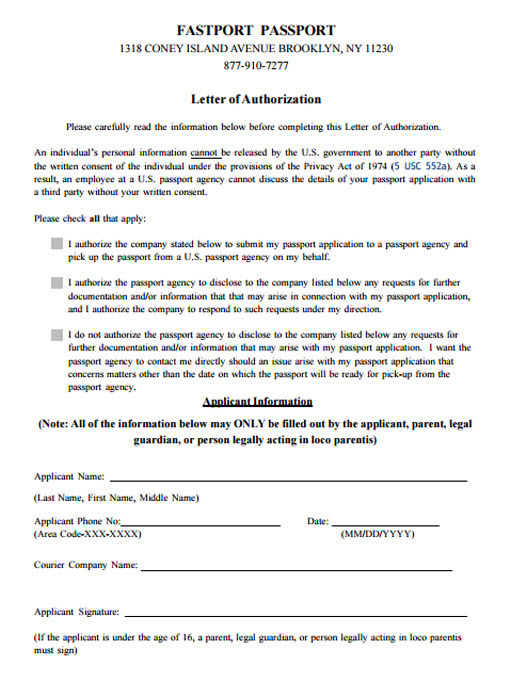 If both parents are appearing at the acceptance facility with a child and both parents sign the DS-11 form, each parent must submit their own letter of authorization to be placed in the envelope and another letter from each to be given to the third party. 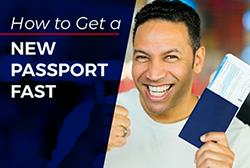 It is important that you inform the agent that you plan to expedite the passport through a third party. There are more than 8,000 acceptance agents in the United States. Not all agents are completely knowledgeable about all the passport regulations. If the agent does not want to return the envelope to you, ask him or her to refer to the Hand Carry Procedures section of the Passport Agent's Reference Guide. Be aware that some agents may try to convince you that having a third party submit the application at a regional agency is not necessary, especially if you plan to use an expediter. Understand that expedited service by mail takes approximately 3 weeks IF you use two-way express mail and there are no delays in the process. Get the facts about passport expedite couriers before you make a decision. Please read the information below carefully before completing the Letter of Authorization. IMPORTANT: An individual's personal information cannot be released by the U.S. government to another party without the written consent of the individual under the provisions of the Privacy Act of 1974 (5USC552a). As a result, an employee at a U.S. passport agency cannot discuss the details of your passport application with a third party without your written consent. The authorization below if from Fastport Passport, a top-rated courier service. As you can see, the letter of authorization must be specific to the passport expediter and include company information in the header as well as list the courier by name in the body of the letter. A copy of Fastport's authorization form will be provided after you complete the online application for expedited courier service.